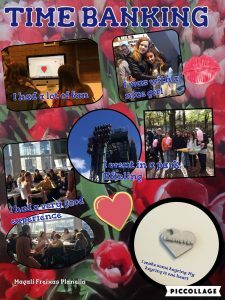 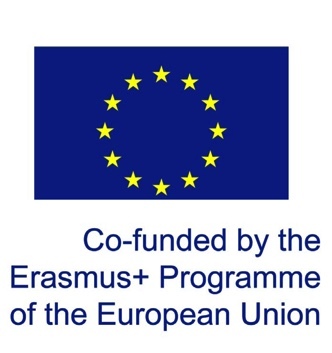 A group of students from La Miquela and another from SintLucas created two very nice Vlogs in where they share their experiences during the 1st Mobility in Eindhoven. 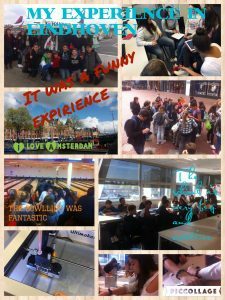 The students from La Miquela created different posters to assess the 1st Short-Term Mobility to Eindhoven. 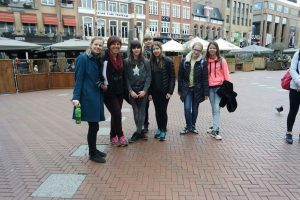 The catalan and dutch students from Ins La Miquela participated in the Photohunt Workshop around Eindhoven Downtown. 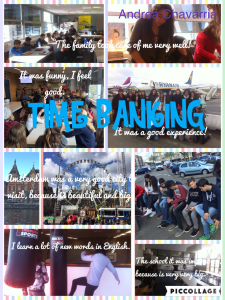 The students had to picture different things in the shortest time possible. 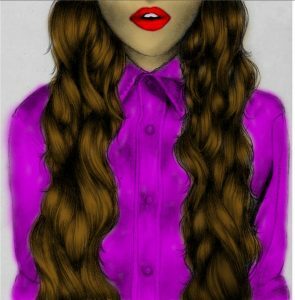 Once they finished, the pictures were validated in order to give points to them and chose the group-winner. 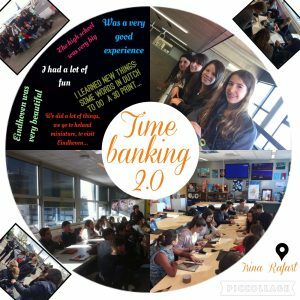 During the Short-Term Mobility 1 to Eindhoven, the students from La Miquela and SintLucas participated in the TimeBanking Ad Workshop. 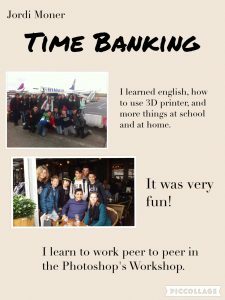 They organised in mixed groups in order to create the TimeBanking Ad to be chosen as the Official one. 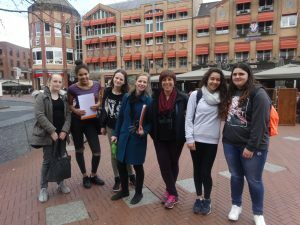 The students from La Miquela and SintLucas participated in a Get to Know each other & Language Workshop. 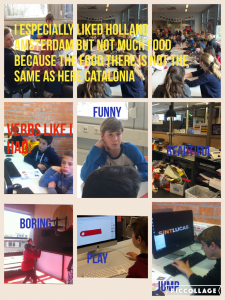 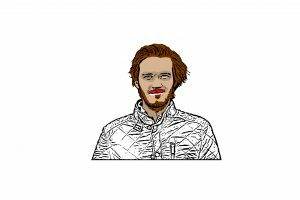 The catalan students from Ins La Miquela had to create her own PopArt Photo in Photoshop with the help of their dutch matches from SintLucas, as a good example of peer-to-peer learning.